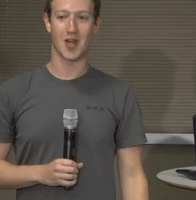 Mark Zuckerberg started some 13 minutes late today for a live conference call. Most of the media in the room made no eye contact with the speakers, instead they were all immersed in typing the story on their own laptops. This is the free version of Skype placed inside of Facebook. Stay tuned for revenue ideas. I don’t use online chat because I’m too busy responding to emails. I have integrated chat into web sites for clients, and that does work well for customer support. These new technologies keep Facebook and Skype on the forefront of social networking.